He created a device known as the “bandeau.” This retainer-like apparatus was shaped like a horseshoe, and it helped expand the dental arch, preventing teeth from getting crowded. While it was effective, it was uncomfortable and expensive because it was made from precious metals. In the 19th century, innovation continued. This is when the term “orthodontia” was first coined by a dentist named Joachim Lafoulon. During this time period, the idea of shifting crooked teeth by using applied-force intervals was put forth by a dentist named J. N. Farrar, and the first use of elastics and metal “braces” was recorded. Modern braces were first conceptualized in the early 1900s. During this time, mechanisms similar to modern braces were created from pliable precious metals, like gold and iridium, and elastic formed from gum rubber. Gold was used for brackets because it was malleable, but this meant early braces were costly and reserved for the upper class. However, the 1970s revolutionized braces as we know them. Dental bonding technology allowed for inexpensive, pliable stainless steel brackets in place of precious materials, dramatically increasing the braces’ effectiveness (and reducing the cost). Since the 1970s, metal braces have become the single most common orthodontic treatment. But the history of braces doesn’t end here! Innovation Continues With Clear Braces and Invisalign! Today, specialized braces like lingual braces and tooth-colored ceramic braces are available to orthodontic patients. Advancements in clear braces technology have led to the development of aligner systems like Invisalign, as well. 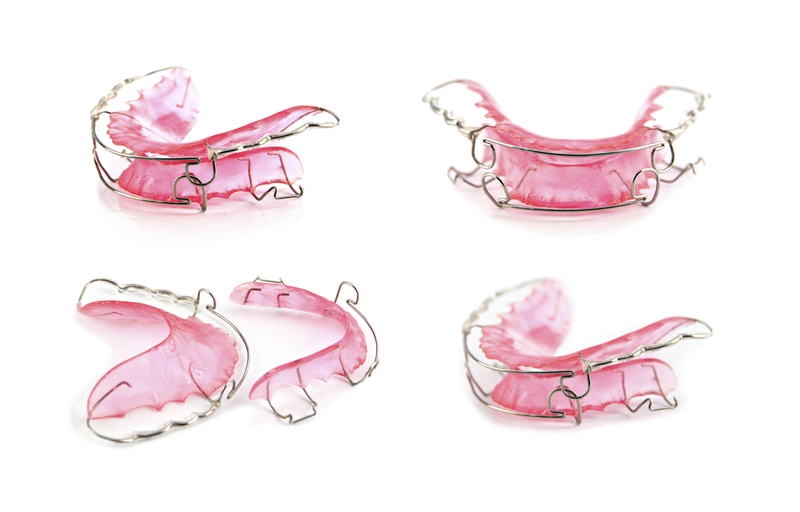 Invisalign and other similar devices use specialized plastic trays to shift teeth gradually, requiring no semi-permanent metal bracket installation and providing a more aesthetically pleasing look during treatment. There are more options than ever, and as the art of orthodontia continues to advance, we’re sure to see even more innovation. See the Future of Braces for Yourself! Visit Priti Naik, DDS for Vienna, Tysons Corner and McLean Family Dentistry! At the office of Priti Naik, DDS, we can transform your smile with orthodontia. With a focus on modern techniques, flexible treatment choices, and a results-oriented approach, Dr. Naik can ensure that you get the right treatment option for your needs.